In October 2014, the Environmental Governance Institute (EGI) was selected by WWF-Cameroon Country Programme Office (WWF-CCPO) to serve as an implementing partner withing the framework of the SIDA-funded Green Heart of Africa Civil Society Support Project (GHOA-CSSP). 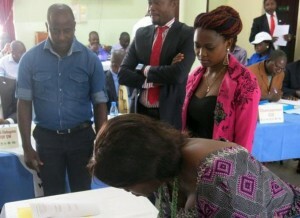 On 3 October 2014, John Takang joined other organizations for a ceremony to sign the Memorandum of Understanding at the Holiday Inn Resort in Limbe, paving way for what he says will be a progressive and enriching partnership. Within the context of this partnership, EGI is being supported WWF-CCPO to engage more effectively, influencing private sector decision-making and practices regarding the management of natural resources. In 2014, an Institutional Capacity Needs Assessment was conducted by the Pan-African Institute for Development – West Africa (PAID-WA). The report that highlighted institutional weaknesses and strengths was the basis for the elaboration of an Institutional Capacity Building Plan for EGI. 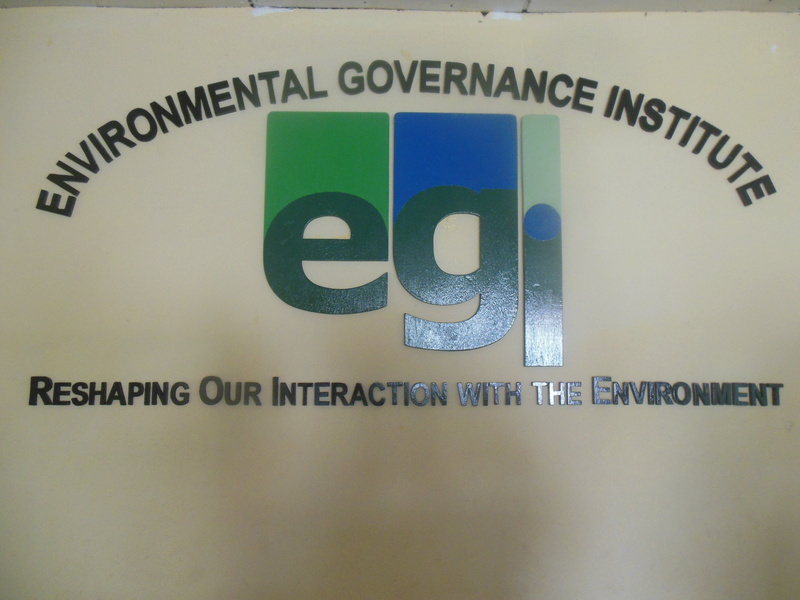 Throughout 2105 up to February 2016, EGI staff have been trained on Financial and Administrative Procedures; Anti-corruption, Technical and Financial Reporting; Organisational Visioning and Strategic Planning, Fundraising and Proposal Writing, Communications and ICT. These training workshops that were administered by PAID-WA presented a good occasion for EGI staffs to enhance their capacities and hence to the overall institutional strength of the nascent Organisation. The Visioning process concluded with the validation of an EGI Strategic Plan for the period 2016-2020 by the EGI Board in December 2015. More importantly, an Administrative and Financial Procedures Manual for EGI was equally validated by the board. These two key documents provide guidance to our programmes and projects while ensuring that sound financial management and accountability principles are not compromised.